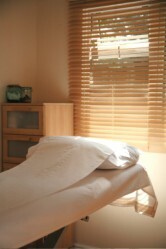 I originally qualified from the College of Traditional Acupuncture and have been in practice since 1995. I then continued my training at the College of Integrated Chinese medicine 1995-1997. At these colleges I have studied the two main systems of diagnosis '5 Element' and 'Eight Principle'. My training also included a grounding in western medicine so I have a good understanding of your condition and the treatments you have received to date. Since completing this training I have gone on to attend numerous postgraduate courses. These include training in Assisted Reproductive Technologies (IVF, IUI etc.) at the Royal College of Physicians. I have also completed a comprehensive training with Zita West and Deborah Betts and I continue to maintain my continual professional development (CPD). I am a founding member of the Herts Acupuncture Childbirth Team and I continue to co-host the meetings. This is a group of dedicated acupuncturists working within the Hertfordshire area. We are committed to supporting couples through all stages of conception, pregnancy, childbirth and post-partum. Emphasis is placed on continuing professional development in the team. We maintain high standards through ongoing training in gynaecology, fertility and obstetrics, along with regular meetings to collectively share our experience and discuss good practice. I have been a member of the British Acupuncture Council (BAcC) for over 20yrs and I have previously worked for them as a CPD facilitator and college inspector. The BAcC governs the maintenance of professional standards and supports continued research in to the efficacy of acupuncture. They also provide the relevant insurance and codes of practice. I work by a strict code of practice and my premises and procedures are also approved by the Department of Health. I am a qualified 3 principles facilitator and coach, available for one to one coaching. ​If appropriate I will also use these skills when working with an acupuncture client. A coach helps you to understand the relationship between your thoughts and you feelings. As a result you can gain freedom from repetitive thought patters including past experiences. People who have been coached in the three principles understanding have gone on to experience a quieter mind, elevated mood, happier relationships, greater resilience and reduced levels of stress.